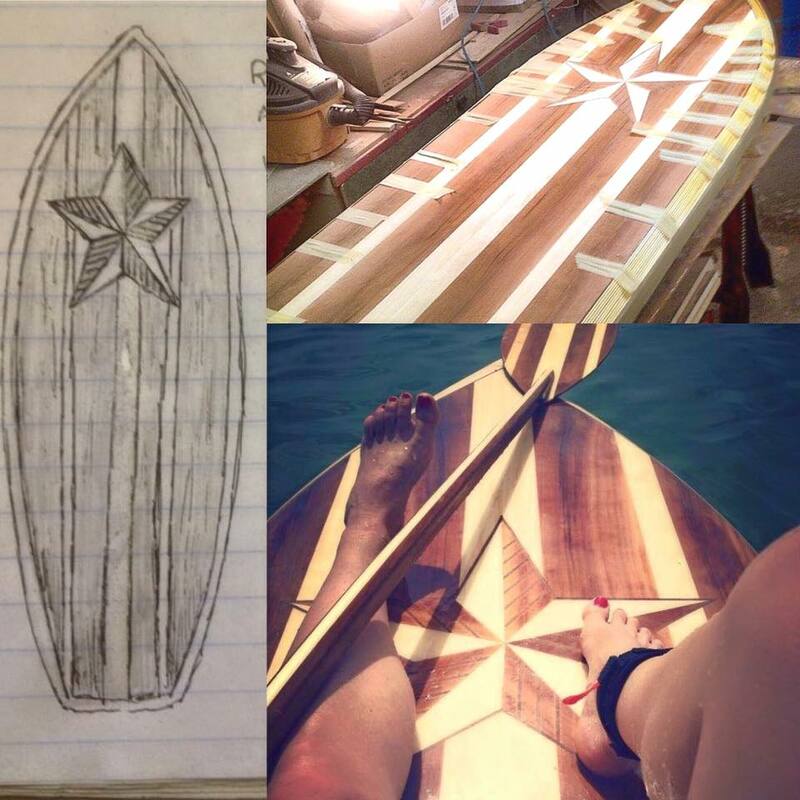 Creating stand up paddle boards from wood offers several advantages. Aesthetically, it produces a beautiful product, truly a work of art. Patterns and grains are revealed and pieced together to create something no one else can claim as their own. 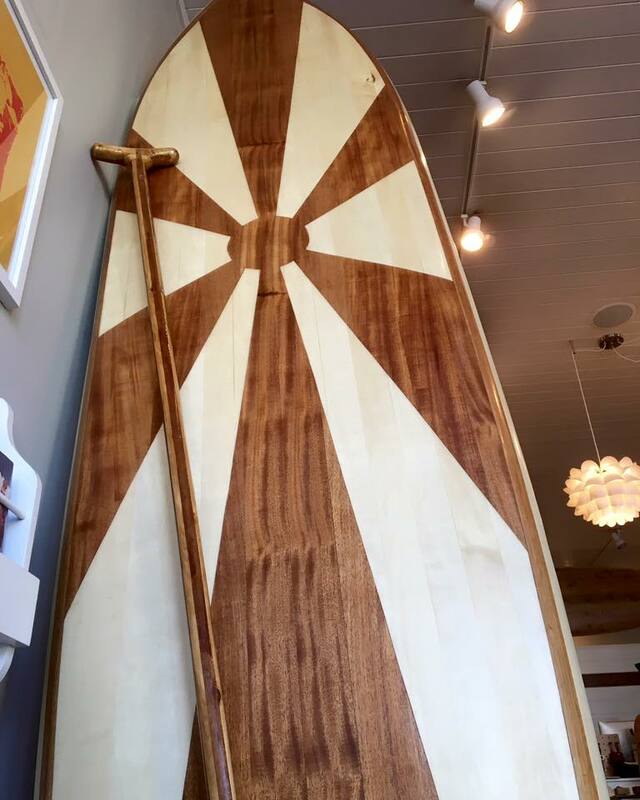 Little Bay Boards strives to use reclaimed wood and locally-sourced materials when building your paddleboard. There are no chemical processes or polyurethane foam used in production. Strips of wood are meticulously chosen for their beauty and pieced together by hand, in a hollow board design glassed together with low VOC resin. Simple by design, but virtually indestructible. On the water the waves and wood blend together allowing the rider to become as one for an experience that is unmatched by any commercially produced paddle or surfboard. Truly one-of-a-kind, each board is designed for its rider. Height, weight, ability, and desired activity are all factored into your board. 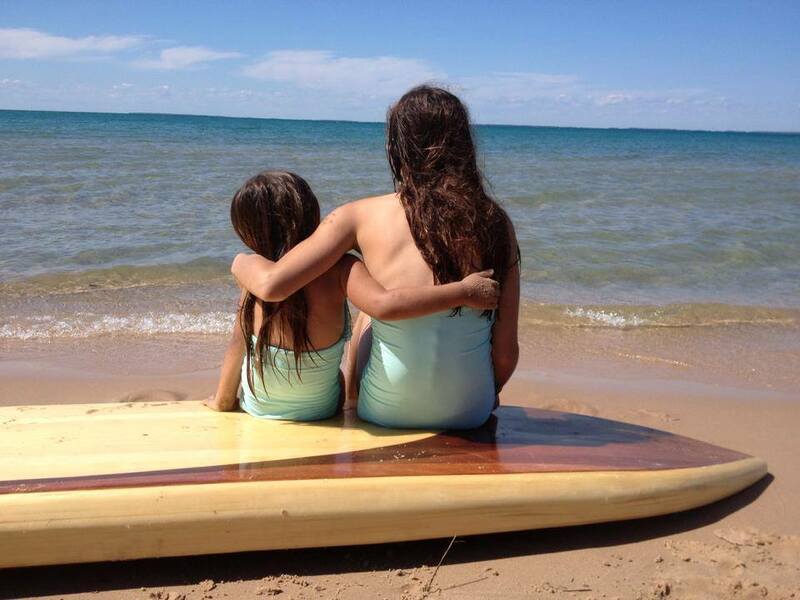 Will you be using your board to skim the open waters of the Great Lakes, or staying further inland? Do you plan to ride freshwater or saltwater? Do you plan to traverse open water or rivers? Will you use your board for surfing? Yoga? Pilates? Do you plan to wear a pack while paddling or will you frequently be enjoying the experience with your dog (or child)? These questions and more are all part of the design and creation of your custom hollow-wood designed SUP or surfboard.